The Supreme Court on Monday asked Kapil Sibal, counsel of N Srinivasan “Show us there was no conflict of interest, from the facts before the Mukul Mudgal committee report,” among his roles in the Board of Control for Cricket in India (BCCI), the Indian Premier League (IPL) and Chennai Super Kings (CSK). Kapil Sibal had a tough time proving that his client had no role to play in the scam. Sibal argued that neither the Bombay High Court where a public interest suit was filed, nor the Mudgal committee report referred to any conflict of interest with regard to his client. However, the judges observed that irrespective of these facts, it was indispensible to prove that there was no conflict of interest, as it was the core issue. His submissions in relation to the innocence of his client were the following: That Srinivasan acted immediately when the media reported his son-in-law, Gurunath Meiyappan, was involved in spot fixing. BCCI lodged a complaint against him and India Cements, which owns CSK, within two days. Since then, committees had been set up to inquire into the allegations from which Srinivasan scrupulously kept away. 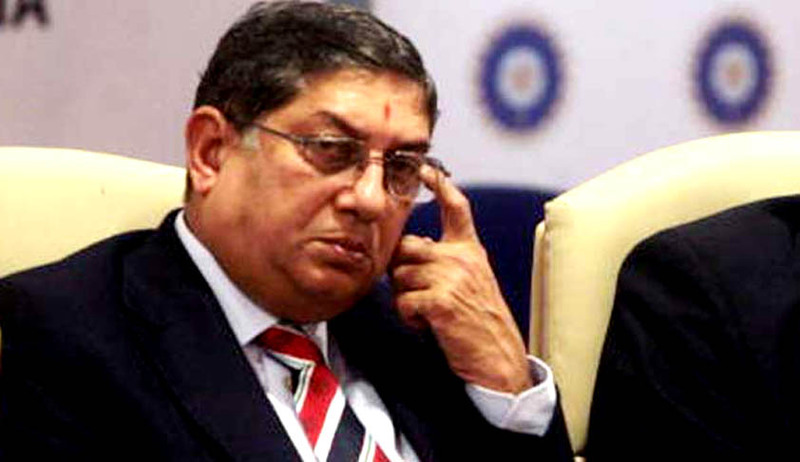 Srinivasan also resigned from the governing council of BCCI and stayed away from its day-to-day administration. In response to Nalini Chidambaram, senior counsel for the Cricket Association of Bihar, allegation that Srinivasan was playing several roles — as BCCI chief and India Cements promoter — Sibal said that this was a common practice even among players and umpires. He gave the example of Vijay Mallya who was administrator of the Karnataka Cricket Association, as well as the owner of Kingfisher, which played a role in IPL. Players like Sunil Gavaskar, Sourav Ganguly and Ravi Shastri also acted as administrators as well as commentators, and got remunerated. The matter is posted next Monday afternoon for completion of arguments.